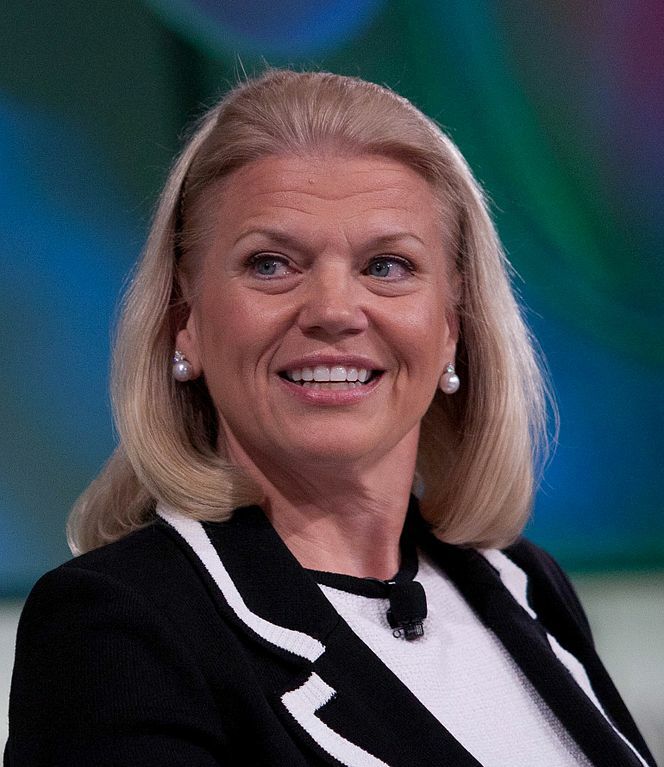 Ginni Rometty, the Chief Executive Officer of IBM, sits down with Fareed Zakria to discuss artificial intelligence and what it means for the future of work. We should be clear about the purpose of these technologies, says Rometty, and they should be in the service of mankind. The conversation was originally published on January 18, 2017. Well certainly the largest is a part of the reason I think I come to I came to Davos this time right. And what we talked about the time that there were three big waves of technology which make this a different point in time than ever before so when people say oh I've seen this before this has happened before. Not really true. And you've got the rise of cloud computing which in this sense the reason it's relevant is the ubiquitous nature that you can get things everywhere. The second thing was the rise of data and we'll come back that will be at the heart of this the rise of data and then of course you have mobility. But I always have added another one I always say but underscored with security which we'll talk a little bit about at some point because security and privacy are things that don't derail one way or another here. But those were the three that came together. And I think that you know when Friedman you said this is my first time back at Davos in a long time and in part of I was Shern with someone yesterday the reason I wanted to come back on the subject is responsible leadership and of course what jumps to all our minds are things like health care education and intersecting with those. Is this topic of Artificial Intelligence and we can talk about why we call it cognitive but artificial intelligence and I do see it as a solution to much of this. But but back to those waves you have so much information. And this is what got us started on the journey long ago so much that if you don't do something your brain. Us as humans. Cognitively can't deal with all of that right. Dr. eight thousand papers a day. Your doctor cannot be current. It's impossible. And so what would you do. And to date every system ever built has been programmed. I mean your phones no matter what you use in technology to date it's been programmed in some way. These systems you can't program for all of the different if then what could possibly be. So you need a system that can understand all this data could reason over it and could learn which means they do become more powerful with time. So that to me this intersects this idea of what all these big issues are in the world right now and it is in part a solution to it. So welcome back to Davos. That's why and so when you when you describe this it makes me think you know one of the comparisons that people sometimes make is that in the 1980s the most three most there were three very powerful supercomputers in the world the Cray supercomputers that got the U.S. government owned them all or maybe IBM on one of them excuse me and the iPhone 7 is more powerful than a super supercomputer. But that doesn't even begin to get at it because the crate was not connected. It didn't have a cloud it didn't have the Internet. So you have this extraordinary level of computing power that everybody has and now it's beginning to do what you're describing. So explain why. You know for example Watson being able to IBM computing power being able to win the Jeopardy competition was actually in some ways more important than winning the chess and beating the World Chess. GREENE So before we talk just a little bit about how all of these technologies would be applied and then their impact. I think this is the illustration to bring up what that what has happened here. So if you look at even our history right. There's a new movie out right now called Hidden figures and it's about John Glenn orbiting the moon in the earth and what in that movie though it's talking about the IBM mainframe. It's the first one it's the first time it's being used here and that is this programmable era and it was with math. The answers were deterministic in what's out there. And so when we did chess those are deterministic you can with a powerful in a system fast enough you can calculate every move and decide if you want to be nation. Very true with these games you see people having out in TV and the like playing other supercomputers playing these games they're mathematically determined.